Next week, the veteran packaged food executive will take the reins from retiring founder Irwin Simon. 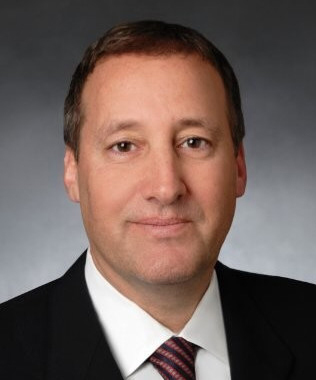 Hain Celestial Group Inc., a leading organic and natural products company, has chosen Mark L. Schiller as its new chief executive officer, the company announced Monday. Schiller takes over as president and CEO of the corporation effective Nov. 5. At the annual shareholder’s meeting on Dec. 5, he will be nominated as a director. Schiller has served in various executive positions at Pinnacle Foods Corporation since 2010, most recently as chief commercial officer. While at Pinnacle, he orchestrated a multi-year turnaround that resulted in record market share gains, sales growth, gross margin and profit growth, according to Hain Celestial. He also spent nearly eight years as an executive at PepsiCo and 11 years in numerous roles at Quaker Oats, according to his LinkedIn page. He earned his MBA at Columbia Business School in New York, New York, and has a bachelor’s degree from Tulane University in New Orleans, Louisiana. “Mark is a highly accomplished consumer packaged foods executive with an impressive track record of reinvigorating growth and improving margins for many iconic brands. Under Mark's leadership, Hain Celestial will accelerate its business transformation through the execution of our four-point strategic plan investing in top brands and capabilities to grow globally,” said Andrew R. Heyer, Hain Celestial’s lead director in a released statement. Irwin D. Simon, the founder, president and CEO of Hain Celestial, announced on June 25 his intent to retire. He will continue as the non-executive chairman of the board As Schiller transitions into his position. Twenty-five years ago, when he founded the company, he wanted to change the way the world eats by focusing on organic, natural and better-for-you products, he previously said in a released statement. Hain Celestial is scheduled to release its earnings for the first quarter of fiscal 2019 on Nov. 8. In fiscal 2018, the company saw same-store sales increase 5 percent to $2.46 billion, and net income increased to $82.4 million. Source: The Hain Celestial Group Inc.